Who are the sons of God in Genesis 6 and Job 1? Question: In Genesis 6:2 and now in Job it refers to the sons of God and I’m sure in other places. We’re just beginning so I need to understand who the verses are speaking about. Answer: In Job the “sons of God” definitely are angels who appear before God along with Satan. This has led many to suggest that this is the correct identity for those in Genesis 6:2. On this view, angelic beings, particularly rebellious angelic beings, those who followed Satan, took wives from human women. Their offspring were called the Nephilim. Some have suggested that when their offspring died the spirits of these half-men, half-angels, became what we refer to now as demons, desiring to be in human bodies again and therefore eager to possess humans. The problem with this view is that it assumes it is possible for two completely different “species” to mate and produce offspring. This is especially difficult to believe of angels since they do not have bodies (they are “spirits” according to Psalm 104:4 and spirits do not have flesh and blood, Luke 24:39). Angels seem to be able to adopt a physical form to appear to us, since we cannot see spirits normally with our physical eyes. But does this enable them to also send sperm compatible with human female ova in order to produce offspring? Seems very doubtful. Another view is that the “sons of God” are men of accomplishment, rulers among men. There is evidence that this is a way the Hebrew for this phrase could be used. This might also help explain how new Nephilim came to be after the flood, when presumably fallen angels were no longer allowed to sire children by human women. In Numbers 13:32,33 the spies sent by Moses to explore the promised land report Nephilim in the land. This makes sense only if this is a general term for large and unusual people. It cannot refer merely to offspring of angels. Typical of such men is that they want more than the God-given allotment of one wife and they feel they have the power and influence to accomplish this. A third view is the the “sons of God” refer to godly believers who contradicted God’s desire to marry only other believing women and instead married the “daughters of men,” meaning unbelievers. This resulted in a dilution of the faith in the subsequent families that were raised and resulted also in the sheer number of ungodly persons living at the time of the flood. Only Noah and his family remained believers worthy of saving. It is hard for me to decide between the last two views, but I see a lot of problems with the first view. It can’t be ruled out but it is highly unlikely in my view. Who Is the Destroying Angel in Numbers 16? Question: Who exactly is the “destroyer” referenced in 1 Cor 10:10, when interpreted in light of the wording of Exo 11:4, 12:23, and 12:29 in the NKJV translation? Answer: The incident referred to in 1 Corinthians 10:10 actually refers to an event that occurred in Numbers 16 when several Levites were challenging Moses’ authority as leader. The leaders of the rebellion, Korah, Dathan and Abiram, were standing at their tents and God told Moses He was going to destroy all the assembly who was supporting them. Moses asked Him to only deal with the leaders. God opened the earth and swallowed them and their families alive. Several of their followers who were offering incense on the altar were killed by fire. When the next day the assembly came again to Moses and accused him of killing these leaders, God began to kill them with a plague. Moses and Aaron offered a sacrifice on their behalf so that more did not die. In Exodus 12 Moses told the Israelites that Yahweh would go “through the land to strike down the Egyptians” but that if they applied the blood of the lamb to their doorposts God would “not permit the destroyer to enter” their houses (verse 23). Though it does not say a “destroying angel” did this in Numbers, Paul is undoubtedly assuming the Jewish tradition that the same angelic activity that occurred in Exodus with the slaying of the firstborn of Egypt (see Psalm 78:49) was repeated in Korah’s rebellion. Whether the angel from God opened the earth, sent the fire that killed those offering illicit fire on the altar and sent the plague, or whether the angel was commissioned for just some of that action, we do not know. It is possible that the destroying angel was the angel of Yahweh. The angel of Yahweh (this means, the messenger of Yahweh) is a separate person from God but at times is identified as Yahweh (compare Genesis 16:7-11 with Exodus 3:1-6). It seems best to understand this by positing that Jesus, the Son, is the angel of Yahweh. We can understand this because we know that Jesus, the Son, is both equal with God and yet a separate personality from God the Father. This helps make sense in this passage of Yahweh taking responsibility for opening the earth, sending the fire and the plague. Yahweh did, but it was Yahweh the Son, not Yahweh the Father. We see this stand out in stark relief in Genesis 19:24 when the text says that in judgment of Sodom and Gomorrah, “Yahweh rained down burning sulfur on Sodom and Gomorrah from Yahweh out of the heavens” (when you see LORD in all caps this is the English representation of the divine name, Yahweh). The Son was bringing down judgment from the Father in heaven. Interestingly, in 1 Corinthians 11 we read that some of the Corinthians were sick and some had died because they were violating another sacred symbol of God, the Lord’s supper, by their inappropriate behaviors. God still does not tolerate wanton abuse of His holy symbols and leaders. And that is the intent of Paul in this passage, also, to warn the Corinthians against offending God’s holy ordinances. Question: How long should I submit to my parents? Answer: As long as you are dependent upon them and living under their roof and are not capable of assuming an adult role in life. Once you are able to do that you should not be in submission to your parents’ authority but respect it. This means that you will honor them and their opinions and views on things, but make your own decisions as the head of a new household. Moses called this “leaving father and mother” (Genesis 2:24). Even if you are not starting a new household (i.e., getting married), you need to learn to live on your own and face the multiple decisions that come your way. It is best, of course, to face them in light of God’s will for your life and with His wisdom. Why does the Bible seem to endorse slavery? Question: Leviticus 25:44 says “Your male and female slaves are to come from the nations around you; from them you may buy slaves.” I’m thinking after reading the entire chapter that slaves were only permitted at that time because they were paying off debts and in the year of jubilee they were to be freed. In this case, even though they are called “slaves”, they are simply working off their debt as in Proverbs 22:7. Am I on the right track? Is there anywhere else in the Bible that God speaks of having slaves as okay? Answer: I would answer that there are no places in the Bible where God endorses slavery. What we do see in the Bible is legislation and teaching regarding something that was already a reality in most cultures during which the Bible was written. It was common to make slaves of those you defeated in battle, probably with an eye to getting the spoils of war, but also as a practical response to what you were going to do with the survivors on the losing side to keep them from getting back at you. If you keep them enslaved and oppressed they can’t get strong enough to defeat you. This was the attitude of Pharaoh toward Israel in Exodus 1. What the Bible does that is counter-cultural, however, is to legislate fairness in the treatment of slaves and to regulate the way to freedom for slaves from among brother and sister Israelites. Mistreatment of slaves was punishable (for example, Exodus 21:26,27). Liberation of Israelite slaves was required in the year of Jubilee legislation (Leviticus 25:8-55). 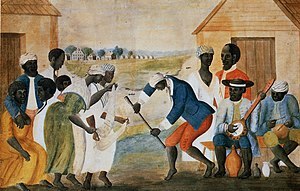 Fellow Israelites could not be forced into slavery but could only voluntarily sell themselves to an Israelite to pay off debt and they were to be treated as hired hands (Leviticus 25:39-46). Paul picks up in the New Testament where Moses leaves off. By writing what he does to Philemon about his slave Onesimus, who has become a believer, it becomes apparent that in Christ there really isn’t room for believers to allow slavery among themselves. And by extension, it is not right to allow slavery period. That is the direction the Bible is leading us, even if it doesn’t come right out and state it.